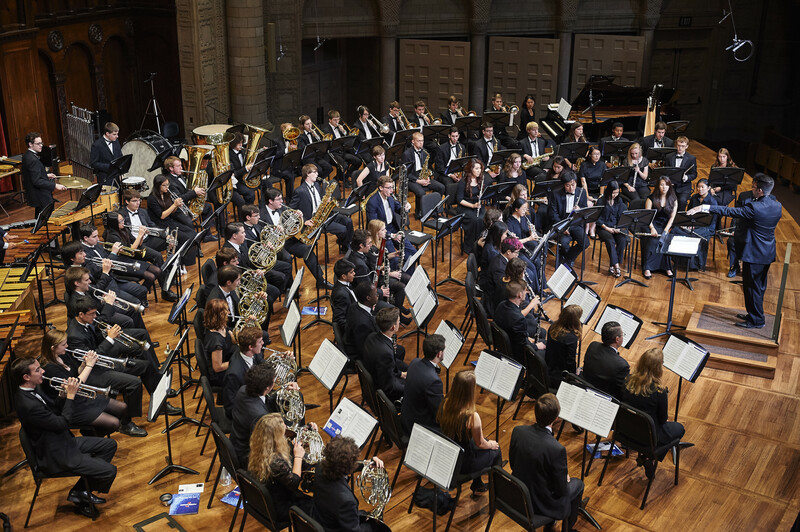 This exceptional group of students is comprised of both music majors and non-majors. Symphonic Winds is dedicated to the performance of the most advanced repertoire written for the wind band medium. They rehearse 90 minutes per week on Monday and Wednesday evening from 7:00 to 8:30 pm and generally perform two to three concerts each semester. Auditions will occur during the first week of classes. Audition signup is available below. But I want to audition for orchestra, where is that signup? All wind and percussion players audition for Symphonic Winds and each semester a select list of wind and percussionists from those who audition will be assigned to play in orchestra and may be asked to rotate between both ensembles as needed. Orchestra assignments for the entirety of academic year 2018-2019 are assigned based on Fall 2018 auditions. Those individuals wishing to check-out a school-owned instrument should contact Dr. Richard Graham, Ensemble Manager. When does Symphonic Winds perform? The Symphonic Winds 2018-2019 Performance Calendar is available and posted above. Please mark these dates in your calendar now to avoid conflicts. All wind players are asked to prepare two excerpts, one technical and one lyrical, that demonstrate technical facility, musicality, and overall control of the instrument. Each selection should be approximately 2-3 minutes in duration. Major or minor scales may be asked at the discretion of the adjudicator and should be performed articulated over two octaves as possible. Percussionists should plan to prepare both a mallet (four-hands if possible) excerpt as well as a snare excerpt. Students are also encouraged to prepare a timpani excerpt should they wish to be assigned timpani parts during the course of the academic year. Audition Signup: The link to signup for an audition time slot will be posted below for anyone wishing to join SW. Do note, your audition implies your participation for the entire year. If you are only planning to participate one semester, please ensure you indicate as much at the time of your audition.